2. 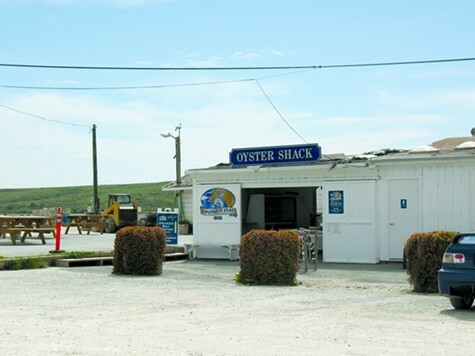 Drakes Bay Oyster Company at Point Reyes National Seashore can remain open until at least mid-May under a ruling by the Ninth Circuit Court of Appeals, the Chron reports. The controversial oyster farm had been ordered to close by March 1 by the Obama administration to make way for the creation of the first marine wilderness on the West Coast. But the Ninth Circuit said the farm could remain open until the court hears the company’s appeal of a lower court decision that upheld the closure order. 3. East Bay legislators Loni Hancock and Nancy Skinner introduced new bills aimed at the Chevron refinery in Richmond, following the massive fire last August that sickened thousands of people, the CoCo Times reports. Hancock’s bill would increase fines substantially for refinery accidents from $15,000 a day per violation to $100,000 and Skinner’s legislation would force refineries to fix hazardous conditions more quickly. 4. California needs to make it easier for residents to install solar panels on their homes if its going to meet its climate-change goals, a new statewide study concludes, according to KCET (via Rough & Tumble). The state currently has an artificial limit, known as “net metering,” on the amount of total solar power that utilities are required to use from energy generated by home-solar panels, and that cap will be filled shortly. 5. Berkeley city officials and residents opposed to the planned closure and sale of the historic post office building in downtown will make their voices heard tonight at a public meeting with US Postal officials, the Trib reports. The community meeting is set for 7 p.m. at 2134 Martin Luther King Jr. Way in Berkeley. 6. And a new wide-ranging study has confirmed that the Mediterranean diet, consisting of olive oil, nuts, vegetables, fruits, and fish, is not only healthy for you, but it’s better than low-fat diets, the Chron reports.